Step out of the city life by going to Devils @ Cradle and Ratho Golf Course. You'll explore the less-touristy side of things at Franklin-Gordon Wild Rivers National Park and Hellyer Gorge. 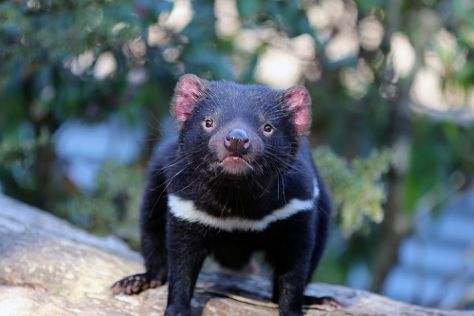 Get out of town with these interesting Cradle Mountain-Lake St. Clair National Park side-trips: Reece Dam (in Zeehan), Mt Donaldson (in Corinna) and Waratah Falls (in Waratah). There's much more to do: contemplate the waterfront views at Lake St. Clair, examine the collection at Waddamana Power Station Heritage Site, and admire the sheer force of Pencil Pine Falls and Knyvet Falls. To see where to stay, other places to visit, maps, and more tourist information, go to the Cradle Mountain-Lake St. Clair National Park online day trip planner . Singapore, Singapore to Cradle Mountain-Lake St. Clair National Park is an approximately 14-hour combination of flight and car. You can also do a combination of bus, flight, and car. Traveling from Singapore to Cradle Mountain-Lake St. Clair National Park, you'll lose 2 hours due to the time zone difference. Finish your sightseeing early on the 5th (Fri) so you can travel to Opossum Bay. Start off your visit on the 6th (Sat): stroll through Opossum Bay Beach, then identify plant and animal life at Coningham Nature Recreation Area, then identify plant and animal life at Raptor Refuge, and finally appreciate the history behind Snug Bushfire Memorial. To see photos, maps, traveler tips, and other tourist information, you can read our Opossum Bay trip planner. You can drive from Cradle Mountain-Lake St. Clair National Park to Opossum Bay in 6 hours. Expect a daytime high around 15°C in July, and nighttime lows around 4°C. Cap off your sightseeing on the 6th (Sat) early enough to travel to Sydney. Discover out-of-the-way places like Dolphin & Whale Watching and Tamarama Beach. 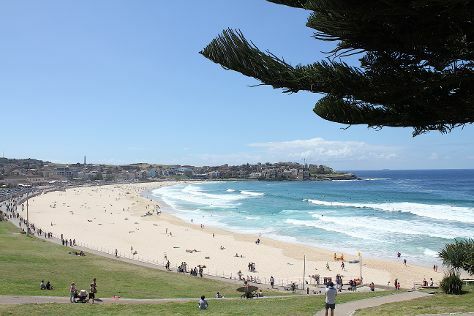 Visit Manly Beach and Bondi Beach for some beach relaxation. Go for a jaunt from Sydney to Manly to see Shelly Beach about 36 minutes away. The adventure continues: take a stroll through The Rocks, get some thrills on the water with a speed boat tour, snap pictures at Sydney Harbour Bridge, and stroll through The Opera House to the Botanic Gardens Walk. To see where to stay, traveler tips, other places to visit, and tourist information, use the Sydney tour itinerary builder site . The Route module can help you plan travel from Opossum Bay to Sydney. Plan for a bit warmer temperatures traveling from Opossum Bay in July, with highs in Sydney at 21°C and lows at 9°C. Wrap up your sightseeing by early afternoon on the 12th (Fri) to allow enough time to travel back home.